Normal acrylic dentures are hard, rigid and can fracture when they are dropped accidentally. Flexible dentures are introduced by Valplast Company (during 1950s) and as their name suggest, they are flexible in nature. Unlike normal acrylic dentures which are made of acrylic resin, flexible dentures are made of nylon thermoplastic material which allows them to be flexible and elastic. What are the advantages of choosing flexible dentures over normal acrylic dentures? They are more aesthetic. 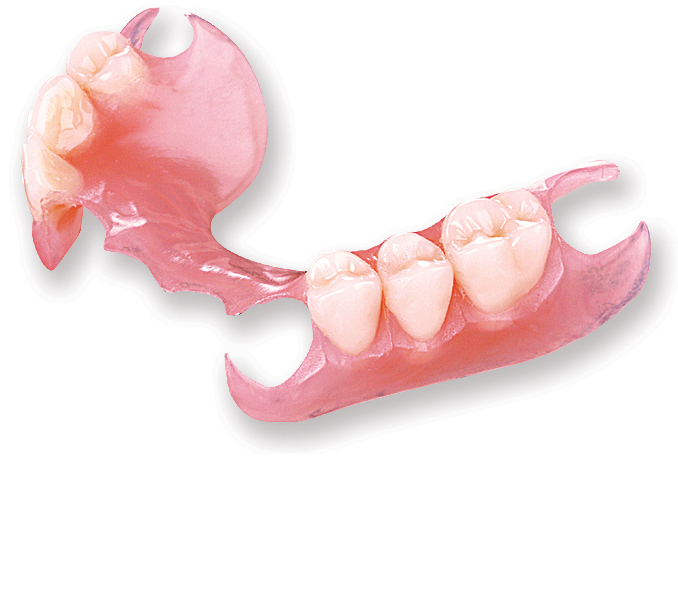 Flexible dentures are more translucent thus pick up the natural tissue color. Furthermore, metal clasp is not used as a component of flexible denture hence reduce the unsightly appearance of them.Flexible dentures can also mask the appearance of recessed gums. They are flexible yet strong. This is because they are constructed using injection molding process that allows them to be durable. Hence, it is strongly recommended for patients that have difficulty in handling normal acrylic dentures. They can be used in patients who have intolerance towards acrylic dentures due to presence of acrylic monomer and metal clasp. Presence of acrylic monomer and metal ions can cause allergic reactions in certain patients . These allergens are not found in flexible dentures. 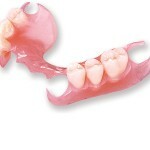 Flexible dentures(Valplast) come with life time warranty against breakage and fracture in normal use. Are there any disadvantages of flexible dentures? Flexible dentures gains support from adjacent/nearby teeth . Thus.they are not very highly recommended for patients with presence of few natural teeth. (etc class I and class II) Other than that, repair procedure (reline) cannot be done easily. Can I get my flexible dentures done in any dental clinics? Not all dental clinics provide dentures made of nylon thermoplastic material. You can get more information regarding dental clinics that provide this service through Valplast Website. Do flexible dentures cost more than normal dentures? Yes, but bear in mind that they do not fracture easily compared to normal dentures and they come with a life time warranty. How do I take care of flexible dentures? Like other normal dentures, denture hygiene is important in order to prolong their life span. Remember to rinse your denture under running water preferably warm water after meals to wash off food debris, etc. Do not clean your dentures using your tooth brush because it might leave scratches on your denture surfaces .Another effective cleaning method to clean your flexible denture is by using sonic denture cleanser(clean them at least once in two weeks).It is also recommended to use Valplast denture cleanser to assist better cleaning. You can soak your flexible dentures in water whenever you are not wearing them. This entry was posted in Dental Care Gum, Denture Cares, Oral Care and tagged Denture, denture care, flexible dentures, lower denture, partial denture, upper denture on August 23, 2011 by SH.